Asbestos and the workplace – Where could you find asbestos in your office? | Crucial Environmental Ltd.
Crucial Environmental Ltd. / Asbestos Concerns / Asbestos and the workplace – Where could you find asbestos in your office? Asbestos was a highly popular product throughout the 1970s and the 1980s as it had a wide range of applications that it could be used for. This included insulation, spray coatings, concrete and more. Unfortunately, the dangers of asbestos were not fully known at the time and it has only been completely banned as of 1999. Despite the dangers, asbestos was not actively removed from buildings, though it is no longer used in modern construction. If your office was built after 1999, this means that thankfully asbestos will not have been used in any part of the construction. However, older buildings are likely to still contain asbestos. Asbestos was commonly used as insulation and was most often used in roofing or within walls of office buildings. If your office is in an older building, then it is possible that it may still be there. It could have also been used as part of sprayed coatings on walls, ceilings, beams or columns as well as vinyl floor tiles. Asbestos can also be found in a number of other potential locations in industrial properties and office buildings. If you would like to know more about where you could find asbestos, take a look at this helpful guide put together by the HSE. If you have asbestos in your office, your employer, or possibly the owner of the building, is required to have a management plan in place. This is to minimise the risk of exposure to asbestos and to reduce the chance of any health risks as a result. The plan itself should detail the location of any asbestos found in the property as well as the condition of the asbestos. If you are worried about asbestos in your office, you should get in contact with the owner. If you are responsible for the building, click here to take a look at the HSE’s guide to managing asbestos in buildings. 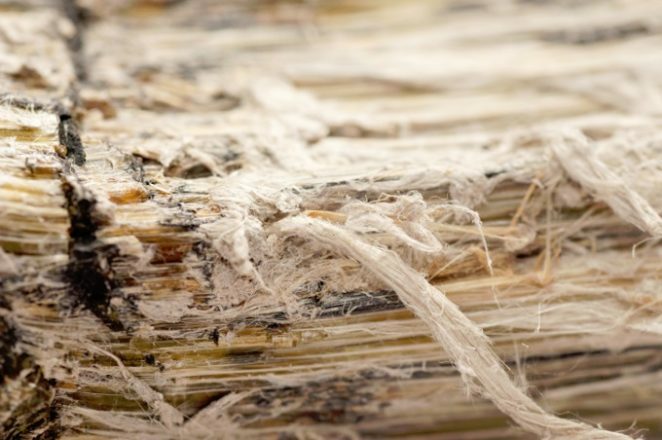 Should you happen to find asbestos in your office, it is best to leave it alone unless you have proper experience in working with asbestos. Removing asbestos can be very dangerous, as moving it will disturb the material and could make the asbestos fibres become airborne. This is when asbestos becomes particularly dangerous, as it could be breathed into the lungs. If you are concerned about asbestos, don’t hesitate to get in touch with us today. We have many years of experience in carrying out a range of asbestos surveys and other services. We can also provide professional asbestos removal services for homes and offices across the UK.